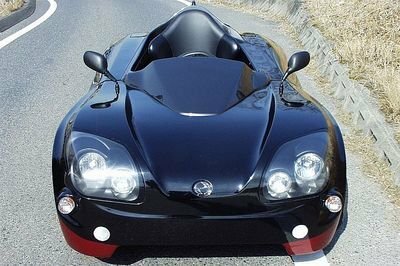 In 2009, the Japanese company Zero Sports presented its improved electric sports car during a technology exhibition on car electronics in Tokyo. The 2009 model is based on an older version of the RS that made its debut in 2003. The new Zero Sports Elexceed features a sporty exterior design and it’s technically a one seat roadster fitted with a compact electric motor and a pack of batteries. Compared to the previous model, the new one received only minor exterior modifications, the main upgrade being represented by the introduction of lithium ion batteries which are lighter and offer a higher range than the old lead-acid technology. Despite its upgrades, the vehicle’s performances are still far from being sporty, as the top speed is rated at merely 40 mph. With this speed, we doubt that the Zero Sports Elexceed RS is worthy of wearing a sport badge. However, it’s not all bad news as at least its price tag has nothing to do with sports cars either, rated at an affordable $18,000. Hit the jump for more information on the Zero Elexceed RS. The Zero Sports Elexceed RS is built on an aluminium space frame which is covered in a FRP (Fiberglass Reinforced Plywood) skin. The car features a pretty exotic design and measures only three feet wide, so it’s kinda small, looking more like a Go-Kart than a genuine sports car. Thanks to its compact dimensions and the new, light lithium ion batteries, the vehicle weights only 360 kg (793 lbs). The exterior design is generally pretty sleek with a low ground clearance and a set of 14 inch aluminum wheels which look bigger than they really are. 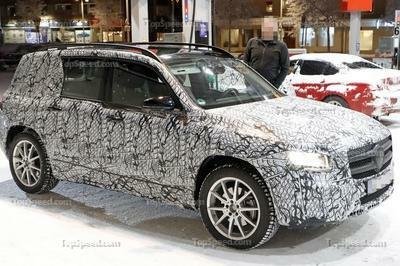 All four wheels are pushed far into the corners, so both front and rear overhangs are very short. This configuration gives the car a better balance and helps it stay better planted on its wheels. The front end styling is distinguished by oversized headlamps and a curvy hood. The fluid lines of the hood are carried over along the sides, forming a pretty elegant and sporty profile. The car comes without a roof, so if you live in a rainy area it will prove to be a pretty uninspired idea to buy one. All you get is a small windscreen, to protect you from wind and flying insects. Out back, you’ll find a set of circular taillights mounted in an elongated cluster and a pair of small stop lights placed lower into the bumper. The car comes without doors, so you’ll have to jump directly into the driver’s seat if you want to get behind the steering wheel. The interior is well built, but looks pretty basic. Leg room is limited, but at least the sport seat seems to offer great back and lateral support. The driver is met by a dated steering wheel, but at least it offers a proper grab and makes you feel like driving a sports car. Our favorite item found inside is the futuristic instrument cluster which glares in a tasty icy blue light. Unfortunately it is placed pretty awkward, next to the seat which makes it hard to be read during driving. As far as materials go, they are average without being cheap, but they are not too high class either. Okay, so the Zero Sports Elexceed Rs is a sporty looking roadster, is lightweight, and features a race-inspired cockpit. It also comes with a set of big rims, has rear wheel drive, and sits pretty low to the ground. Judging by this short description, one could expect that the on road performances are similarly sporty. Unfortunately, when it comes to performance, the Zero Sports Elexceed RS is a huge disappointment. The electric motor has enough grunt to reward (or better said punish) you with a maximum cruising speed of merely 45 miles. Well if you’re not already completely disappointed, then you must know that the batteries are able to keep the car alive only for 45 miles. At least the new lithium ion batteries are 70 kg lighter than the lead acid units used for the previous model. The pack of 105 notebook type lithium ion batteries are positioned on both sides of the driver’s seat, thus keeping the vehicle better balanced. The batteries can be charged from any conventional 100V household outlet and a full charging takes a decent 6 hours. The Zero Sports Elexceed RS started as a great idea. It is built on an aluminum space frame chassis, comes with wishbone suspensions, and has racing breaks. Not to mention that it looks pretty sporty too. The company, however, made a terrible decision in fitting it with a sluggish electric powertrain which makes the entire car look like a bad joke. 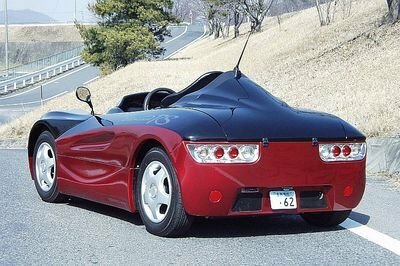 What’s even worse, the company is keep calling it a sports car, despite the fact that judging by its dimensions and performances, it could fit pretty well in the Go-Kart category.